In Spite of availability of various channels, Email still remains one of the most effective and cost-efficient tool of Marketing for E-Commerce Businesses. But, like every E-Commerce Marketing channel, it comes with a set of good and bad practices. Killer subject line: No matter how amazing your content is, your customers won’t open your email if the subject line doesn’t interest them. Spacing, Sizing & Breaking: Use appropriate spacing between your words and appropriate breaking down of paragraphs. It shouldn’t be too wide or too cramped. Font size should be easily readable, else your audience might lose interest in reading the mail. Call to Action: The point of any Email Marketing campaign is to get response, and to get response, you need to include a strong eye-catching CTA tab. Visual elements: Add images/gifs/emojis wherever deemed appropriate across the email. People have a better memory of visual elements, so use that to your advantage and make your email more attractive. Don’t overdo it, of course! Personal Touch: Use your customers names in your emails to add a personal touch. People are more receptive of messages (or emails) if it includes their name. Avoid spam trigger words: While it’s difficult to avoid all the spam trigger words, considering there are so many of them, try to keep it at minimal or none. Here is the list of spam trigger words you should avoid using in your subject line. An average customer or prospect receiving your mail doesn’t give much thought about what your product/service can do. He/She cares more about how they can benefit from it. Hence, you should stress more on what your product does and how your prospects can benefit from it, instead of how your product works. Keep the working of the product for later stages when the contact has established a good connection between both of you. Avoid the hard-sell: Holidays are the time when people themselves look forward to buying things online. Hence, it’s okay to slow down your marketing campaigns at this time and rather focus on ‘interacting’ with the customers. What does this mean? It means avoiding the hard-sell by sending them wishes using attractive layouts and subtly giving them relevant offers. Plan early: This is often overlooked. You should plan your holiday campaigns at least 4 months before the holidays. This ensures you create content which stands out. Tracking your data from previous holiday campaigns also helps you analyze key improvement areas. Customer’s preferences & interests are just like the Digital World – they change rapidly! It can take years, months or even weeks for customers to change their preferences. The customers who’ve signed up for your emails today might not be interested in receiving them after few weeks. Therefore, you should clean your lists regularly by subtracting names, based on various engagement metrics like bounced emails and unsubscribes. Email Campaigns cost you time and money, hence you should only engage with those who choose to engage with you. Removing unengaged customers will give you higher conversion rates, better ROIs and fewer spam traps. People expect to hear from humans, not machines. Using an overly-formal or overly-technical tone in your email might just put off your readers. Normally, humans are in a casual mood while reading something (in this case, your emails). Hence don’t hesitate to use a casual and friendly tone in your email. Even though it is an automated email, you don’t have to make it obvious. You’re sending Emails to humans after all! Open rates & bounce rates, though critical, shouldn’t be the only determinants of your Email Marketing results. Instead of focusing on open rates, focus more on Click-Through Rates (CTRs), which determines how many customers actually landed on the product page. A lot of customers open Emails without actually going through it fully. Don’t let bounce rates discourage you from your future campaigns. Instead, work towards having a better List Growth Rate. As the name suggests, this means increasing the number of relevant prospects. Also, don’t forget that your current list might keep getting ‘unhygienic’, hence it is essential to keep expanding your list at a decent rate. It’s essential that a customer feels comfortable and familiar with your brand before deciding to buy from you. Don’t hard sell your products/services as soon as the customer signs up. It may be tempting to sell to your customers quickly because they’ve signed up with you, but remember that selling is about establishing a comfort level first. You’re more likely to receive better clicks and opens if you’re familiar to your audience. While this is a part of personalizing, it deserves a special point. It may seem counter-intuitive, but your customers will mark you as spam if they get frustrated trying to find an option of unsubscribing. The only thing worse than automatically ending up in the spam folder is your customers personally marking you as spam. This is the most crucial part of your Email Campaigns, as this establishes a tone between you and your customers. Your Welcome Mails should be sent immediately after the customer signs up, as your brand is still on top of their minds. It should be a personalized mail (as mentioned in point ), and it should mention what the customers can expect from your emails and how they can get in touch with you. There is a reason why games are so addictive. Factors like rewards and achievements makes games fun. So why not use this in Email? Did I just hear you say “How”? Here’s how – by offering rewards to your customers regularly. For example, review sites like TripAdvisor & Zomato are a hit among customers, because they make customer experience on their site ‘playful’, by rewarding and recognising users contribution to their site. Badges like ‘Top contributor’ raises excitement among the audience. As far as Emails are concerned, you must have seen Emails from Starbucks where they talk about offering ‘star points’ for buying their products. The more stars you correct, the more benefits you can reap at Starbuck outlets. This makes people excited to receive Email for Starbucks because they engage their audience in a ‘playful’ manner. Again, starting with the most obvious yet commonly committed mistake. Many businesses, especially E-Commerce companies, are infamous for shooting out Emails to their customers as well as the prospects every single day (sometimes, even multiple times a day). This practice will instantly make your prospects term your company as ‘annoying’. Also, your emails might just end up in the spam folder if you adopt this practice. Your customers will forget about you if you don’t send them Emails for a long time, and they might get annoyed by your emails if you send them too frequently. Hence, find a balance and make a ‘Email Calendar’ and send them Emails at regular intervals. E-Commerce Stores are so prone to committing this mistake, it deserves a special point. While its good to send offers and promotional mail to your customers and prospects, making it sound like they’ve won a lottery makes them wary of even opening your mail. Too much excitement in your Email subject makes you suspicious in the eyes of your customers (and ending up in spam folder). While thankfully, in my experience, most of the E-Commerce businesses respect the contacts who have unsubscribed, some of them still keep sending them emails in a bid to win them back. This small practice can prove to be a huge tint on your brand reputation. Expect that few contacts will choose to unsubscribe from your mail list and don’t bother them with your emails. This can even prevent them from reconsidering to subscribing to your emails. In spite of this being obvious, many E-Commerce businesses send Emails with no clear goal in mind. Before sending out Emails, make sure what your objectives are and frame the content accordingly. With more and more E-Commerce transactions (projected to reach 669 billion U.S. dollars in 2018) and Email opens (54% in 2017) happening through mobiles, chances are high that your mail would be read on mobile by your customers. Make sure your Emails give a mobile-friendly experience too. Use texts, images, GIFs which are well-suited to mobiles. What looks good on Laptop might not look good on mobile. Send few test emails to check your Email’s mobile-compatibility. While you might get initial clicks and traffic, sending out a misleading mail to your customers is a sure-shot way of losing them quickly. Don’t write “40% off on Men’s clothing” if you’re offering that discount only on winter wear! The customer will lose his/her trust from your brand if he/she feels misled. You don’t want that to happen, right? Customer Trust is fragile, treat it like that! Receiving a mail with coupon code for 10% discount is nice. Receiving 10 emails with coupon code for 10% discount is lazy and unattractive (not to forget, you might just trigger the spam filter). Think about it, why would someone open your mail if he/she received the same mail 2 days back? Be creative with your promotional campaigns. If you send a “Get 40% discount” mail this week, send a “Buy 2 get 1 free” mail the next week. Repetition kills interest! Customers who always open and click your mail deserve extra attention (read: better engagement). Keep rewarding them regularly with various offers and discounts. They are the biggest determinants of your Email Campaigns success. Going an extra mile and showing them extra attention will improve your retention ability, which pays off in the long run. This is one strategy which is largely underused by E-Commerce Stores. Replenishing means reminding your customers to buy your services/products again because they might have run out of it. For example – Let’s say you order a mid-sized coffee powder from site XYZ. The coffee of this quantity lasts for a month generally. So, after a month, XYZ should send you an Email reminding you to order the same coffee (bonus points if you also include other sizes & brands available!). This strategy gives you recurring interest of your customers, and thus, recurring revenue. There you go! 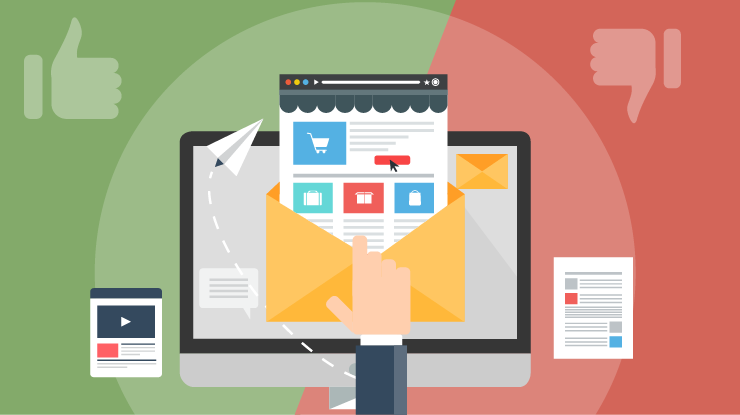 These were the DOs and DON’Ts of Email Marketing for E-Commerce Businesses. Keep doing A/B tests regularly to chalk out good strategies, especially when you’re a rookie in Email Marketing. In the end, the combination of right content, right tool, right customers and right practices will ensure that your Email Marketing success rates are high! Reach out to us to know how you can achieve Marketing Success for your E-Commerce Store by using our platform! 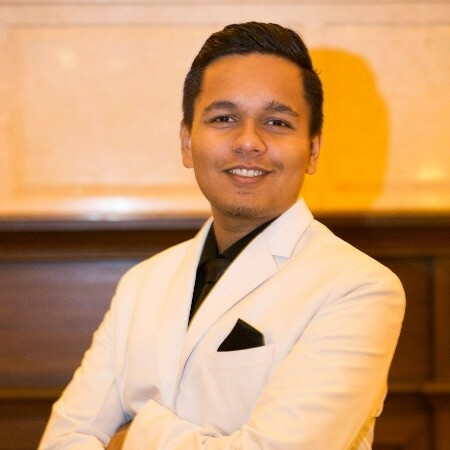 Meet is a Business Development Executive as well as a student who has started his professional journey with OnlineSales.ai. He's passionate about telling bad jokes, business, economics, politics and travelling (yes in that order).